There are two artists known as Mark O'Connor 1. Mark O'Connor (born August 5, 1961 in Seattle, Washington) is an American bluegrass, country and classical fiddler, composer and music teacher. O'Connor's music is wide-ranging, critically acclaimed, and he has received numerous awards for both his playing and his composition. As a teenager he won national string instrument championships for his virtuoso playing of the guitar and mandolin as well as on the fiddle. 1. Mark O'Connor (born August 5, 1961 in Seattle, Washington) is an American bluegrass, country and classical fiddler, composer and music teacher. O'Connor's music is wide-ranging, critically acclaimed, and he has received numerous awards for both his playing and his composition. As a teenager he won national string instrument championships for his virtuoso playing of the guitar and mandolin as well as on the fiddle. His mentors include Texas old-time fiddler Benny Thomasson who taught O'Connor to fiddle as a teenager, French jazz violinist St?phane Grappelli with whom O'Connor toured as a teenager and guitarist Chet Atkins. At an early age Mark O'Connor was considered a child prodigy, his first instrument being the guitar. "I was a guitar player first, beginning around age 6." said O'Connor in a recent interview. "At age 11 I got really interested in bluegrass and country guitar, and I was able to really draw inspiration from all the great guitar players that were recording in that era; of course, Chet Atkins, and Jerry Reed, and Doc Watson and some of the bluegrass guitar players like Tony Rice, and Norman Blake." He has recorded solo albums for Rounder, Warner Bros. Records, Sony, and his own CD line OMAC Records. 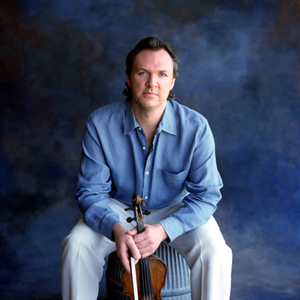 O'Connor has won two Grammy awards; one for his New Nashville Cats album and another for his Appalachian Journey album he did with Yo-Yo Ma and Edgar Meyer. He was named Musician of the Year by the Country Music Association six years in a row (from 1991-1996). His collaborative single Restless (with Vince Gill, Ricky Skaggs and Steve Wariner) won the 1991 CMA Vocal Event of the Year award. O'Connor has crossed musical genres, composing, arranging, and recording folk, classical and jazz music. His Fiddle Concerto has received over 200 performances making it one of the most performed concertos written in the last 50 years. He has composed six violin concertos, string quartets, string trios, choral works, solo unaccompanied works and a new Symphony. He has worked and recorded with a wide variety of artists, such as Chet Atkins, James Taylor, Michelle Shocked, Alison Krauss, David Grisman, Tony Rice, Bela Fleck, Ren?e Fleming, St?phane Grappelli, Patty Loveless, The Dixie Dregs and Wynton Marsalis. Some of his more recent albums are or contain tributes to his musical mentors and inspirations, including Niccol? Paganini, Benny Thomasson, and Grappelli. He has contributed music to the PBS Series Liberty! The American Revolution (the companion album is Liberty!). He recorded his "Fanfare For The Volunteer" with the London Philharmonic for Sony Classical, and one of his most critically acclaimed orchestral pieces Americans Seasons for Sony Classical as well. O'Connor recorded a 2 1/2 hour double CD of his music with the mandolinist Chris Thile entitled Thirty-Year Retrospective. It celebrates his thirty years as a recording artist on his own OMAC label. He also provided the soundtrack to a 30-minute animated film on the story of Johnny Appleseed (and released the music on his 1992 album Johnny Appleseed), narrated by Garrison Keillor, He contributed four tracks to a 1993 album on the theme of The Night Before Christmas narrated by Meryl Streep that was recently reissued for Starbucks. One of his most popular compositions, Appalachia Waltz (appearing on the album of the same title), has been adopted by Yo-Yo Ma as part of his live performance repertoire, and used frequently as music for weddings including two of Vice President Al Gore's daughters. O'Connor hosts an annual fiddle camp (the Mark O'Connor Fiddle Camp) in Tennessee and an annual Strings Conference in San Diego, California. O'Connor is currently living in New York City working on new music. One of his recent efforts is his piano trio entitled Poets and Prophets which is inspired by his boyhood hero Johnny Cash. Currently O'Connor and Rosanne Cash have teamed up for concert dates premiering their collaboration in New York at Merkin Hall, January 2007. He plays on Ken Burns' The War. On April 28, 2009, O'Connor teamed with prominent chamber musicians Kavafian, Neubauer and Haimovitz to present his second and third string quartets, amalgamating bluegrass with classical styles, at Merkin Concert Hall in New York. A recording by the same artists is to be released on O'Connor's OMAC label during May. 2. Mark O'Connor is a musician from Limerick, Ireland. He has released three albums; 'Actions' released October 2003, 'Robin's Egg Blues' released April 2007 and 'ESPERO' released 1 May 2011. This latest album features a guest appearance by J Mascis of Dinosaur Jr.